Fr. Jack from Busted Halo takes on tourists in Times Square to ask people what New Year’s resolutions are going to be this year, what feast the Catholic Church celebrates on January 1, and if anyone knows about the biggest resolution ever made in all of human history. and strengthens the entire body. each of us must be open to the Spirit. and the reflection of the community. 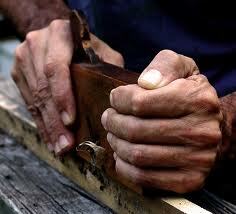 each shares his gift in building up the Body of Christ. January 5th offers us a great opportunity to watch a National Geographic special which guesses as to the origin of flood in Old Testament Noah's times. There are some scholars that point to texts written thousands of years before the Bible that describe a flood and say that the Bible story comes from those stories. Archaeologist Jeff Rose says these pre-biblical stories have some merit because the destructive forces of water in a once tropical region, considered by some to have been the Garden of Eden, might have inspired the biblical story of Noah’s Ark and the great flood. Before becoming the Archbishop of New York and president of the United States Conference of Catholic Bishops, Archbishop Dolan served as rector of the North American College, the seminary for Americans in Rome, from 1994 to 2001. This is the meaning of the Child’s name, the name which, by God’s will, Mary and Joseph gave him: he is named Jesus, which means "Saviour" (cf. Mt 1:21; Lk 1:31). He was sent by God the Father to save us above all from the evil deeply rooted in man and in history: the evil of separation from God, the prideful presumption of being self-sufficient, of trying to compete with God and to take his place, to decide what is good and evil, to be the master of life and death (cf. Gen 3:1-7). This is the great evil, the great sin, from which we human beings cannot save ourselves unless we rely on God’s help, unless we cry out to him: "Veni ad salvandum nos! – Come to save us! This video is the latest YouTube sensation. Enjoy! The chorus led us in Evening Prayer during the service. The Marianist Family gathered at Chaminade High School last evening for the Keep Christ in Christmas Vigil at the Creche. 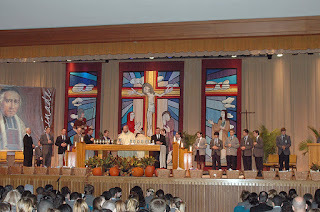 This prayer vigil was in celebration of the 250th Anniversary since the birth of Blessed William Joseph Chaminade. Marianist Father Garrett Long presided at the Candlelight Vigil. "And she laid him in a manger." Blessed Mary knew that Jesus Christ was coming as the spouse of souls, the king of love, the priest of the new alliance, and the teacher of the Church. Our Lady knew that the crib would be simultaneously the nuptial bed, the throne of grave and mercy, the altar of sacrifice, and the chair of truth. Mary knew that no one would have a share of these chaste and divine espousals, of the graces of this king, of the offering of his sacrifice or the fruit of his wisdom unless her Son Jesus Christ lay in the manger. In her pure heart, the Blessed Virgin knew that only those who imitated the spirit in which Christ accepted the manger would be worthy of the promises of her newborn on. In tomorrow's first reading, King David laments that he lives in a palace while the Lord lives in a tent. Our first reading may seem unusual until you take a look at the selection of Saint Luke for the day. 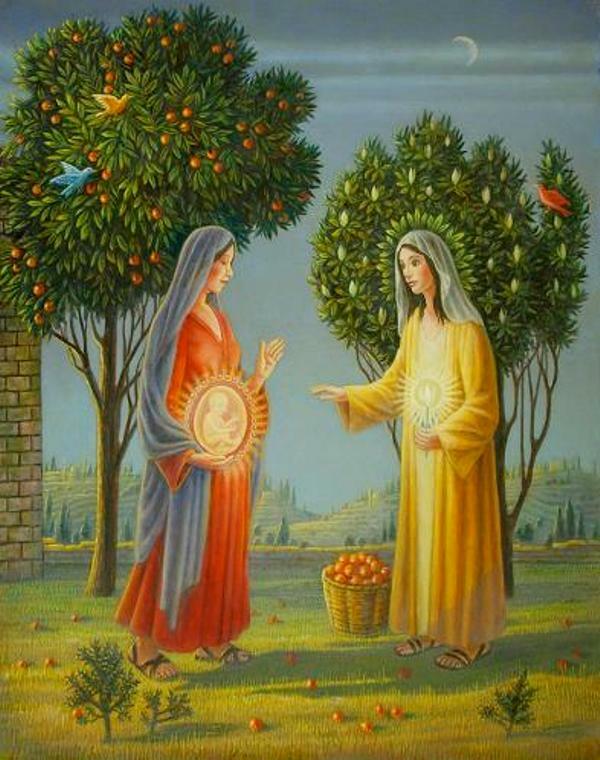 In this selection we have the story of the Annunciation. The angel Gabriel gives Mary the message that she will bear the Christ child in her womb. 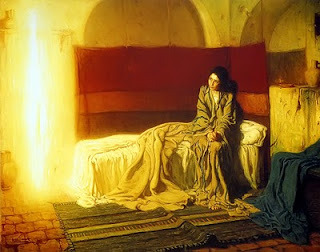 John Collier's "Annunciation" from Carol Reynolds on Vimeo. Advent is now in full swing and Busted Halo's longtime friend Fr. Jack Collins, CSP, hit the streets (and the local ice skating rink) to ask people what they know about the anticipatory season of waiting and preparation… Advent. This Sunday we ordinarily celebrate Mary. 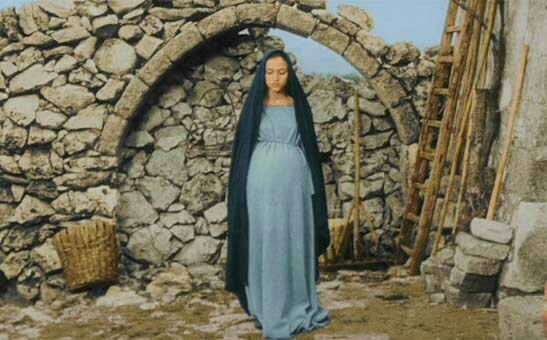 Mary was "ordinarily sacred." Blessed Mother Teresa’s decades-long "dark night of the soul" was revealed after her death in Come Be My Light. 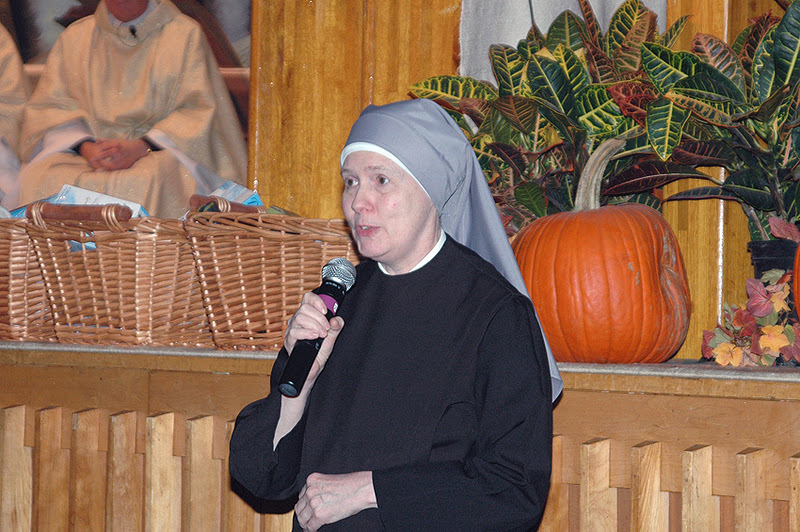 Her bouts with doubt and the distance she felt from God surprised many who considered her the epitome of perfect Christian service and joy. Perhaps God already considered her a saint when he canonized her with his deepest silence during her life. The greatest saints have battled God’s deepest silence. Even the saint we celebrate today, St. John of the Cross gave it an apt name. It should not surprise faithful Catholics when they find themselves enmeshed in God’s silence, when deep faith and deep prayer yield only deep silence. Dante expressed the lowest point of Hell as literally the furthest distance from God, where Satan lies encased in ice at the center of nothingness. There are Hells on Earth that we pass before we reach God’s place for us in eternity. When prayer only echoes in the silence without a response, we face our darkest nights. The only comfort we have then is that at least God is listening to the prayers of others who might keep us in their intentions as we experience the darkness. There’s comfort in knowing that some of His greatest saints had souls that also knew dark nights. In that, we are not alone. The feast in honor of Our Lady of Guadalupe goes back to the sixteenth century. Chronicles of that period tell us the story: A poor Indian named Cuauhtlatohuac was baptized and given the name Juan Diego. He was a 57-year-old widower and lived in a small village near Mexico City. On Saturday morning, December 9, 1531, he was on his way to a nearby barrio to attend Mass in honor of Our Lady. He was walking by a hill called Tepeyac when he heard beautiful music like the warbling of birds. A radiant cloud appeared and within it a young Native American maiden dressed like an Aztec princess. The lady spoke to him in his own language and sent him to the bishop of Mexico, a Franciscan named Juan de Zumarraga. The bishop was to build a chapel in the place where the lady appeared. Eventually the bishop told Juan Diego to have the lady give him a sign. About this same time Juan Diego’s uncle became seriously ill. This led poor Diego to try to avoid the lady. The lady found Diego, nevertheless, assured him that his uncle would recover and provided roses for Juan to carry to the bishop in his cape or tilma. When Juan Diego opened his tilma in the bishop’s presence, the roses fell to the ground and the bishop sank to his knees. 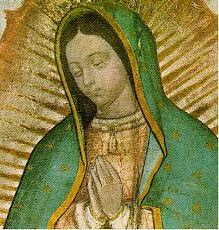 On Juan Diego’s tilmaappeared an image of Mary as she had appeared at the hill ofTepeyac. It was December 12, 1531. Mary's appearance to Juan Diego as one of his people is a powerful reminder that Mary and the God who sent her accept all peoples. In the context of the sometimes rude and cruel treatment of the Indians by the Spaniards, the apparition was a rebuke to the Spaniards and an event of vast significance for Native Americans. While a number of them had converted before this incident, they now came in droves. According to a contemporary chronicler, nine million Indians became Catholic in a very short time. 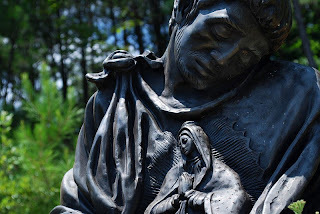 In these days when we hear so much about God's preferential option for the poor, Our Lady of Guadalupe cries out to us that God's love for and identification with the poor is an age-old truth that stems from the Gospel itself. "Where are you going?" asks Mary of Juan Diego. He is stopped in his tracks. He leaves his "important" plans and becomes her messenger:Build a church where the cries of the poor and the oppressed will be heard. The bishop hears these gospel-laden words with shock and disbelief. Signs, tangible signs, to know if this is true: that is his demand. But the words that the Indian brings are the answer. The church must turn its institutional attention from its own needs to listen to the solitary voice of one poor man. It is a voice caught up in cultural traditions, old Indian ways, unpurified beliefs. Juan Diego's nervous intensity comes not from self-interest but from the faith that this voice and prayer have been heard by God. The words he speaks are the answer to his prayers. What Mary has asked of the bishop is not meant to cause a division among the servants of the Lord. It is not a condemnation of strategies or theologies. Rather, it is a word of direction to move from the status quo operations of the day and to build up a place where the prayers, the cries, the heartbreak of the people can be heard. The place becomes symbolic of the fact that a mestizo church emerges from these birth sufferings of a conquered people. The temple is symbolic of the age-old, faithful word of God: to be with the people. Guadalupe's significance is both word and symbol. She provides the answers to the prayers of her faithful people: "God is with you!" 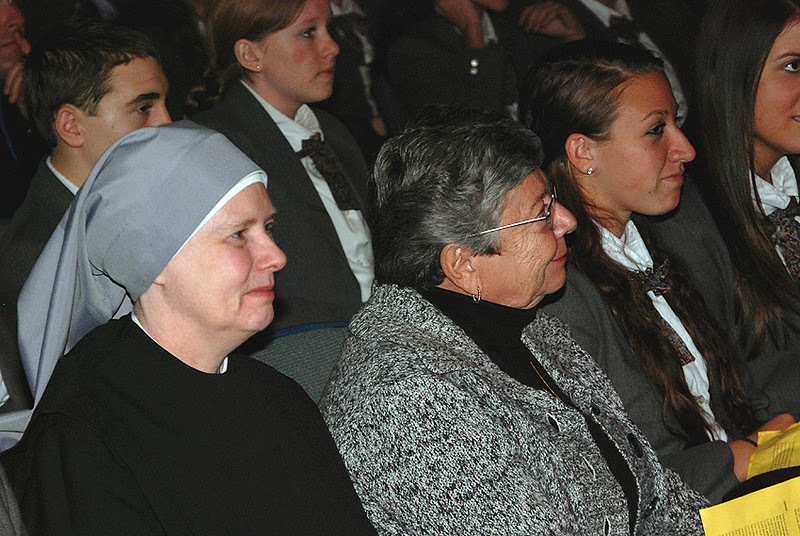 Her very appearance, as one of the poor, aligns her with them. 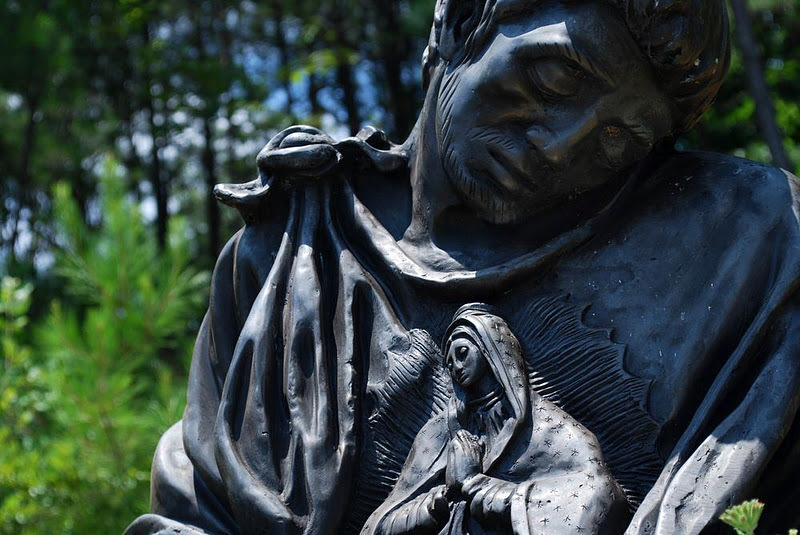 Guadalupe's proclamation can be seen as God's option for the poor. "Where are you going?" echoes in the life of God's people to this present day. The Gospel writer opens with a remarkable, almost mystical hymn-like prologue. But sandwiched between these lyrical texts about light and creation, are the intrusive, almost awkward verses about John the Baptist. It seems the moment Jesus is first mentioned, the Gospel writer feels constrained to discuss John the Baptist as well. While the Baptist is positively defined as being "from God," the writer's most forceful sentence here is a declaration about who John the Baptist is not. John is "not the light." The light was still "coming into the world." In John's gospel, however, recurring references to the Baptist suggest that Jesus and John preached and baptized concurrently for some time. But in all he does and in all he says, the Baptist always witnesses to Jesus and his messianic identity. 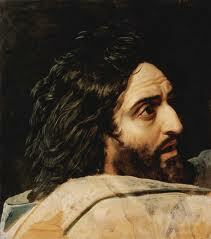 John the Baptist refrains from voicing the messianic title at this point. But he clearly alludes to the greatness of this one who is yet to come. John equates his own status before this one to come as that of a slave--even less than a slave. It is one of the slave's duties to untie his master's sandals. But John the Baptist modestly denies that he is fit even to perform this duty. Usually, for a beatification there must be a miracle which has been deliberately studied and approved by the Congregation for Causes and Saints accepted by the Holy Father. 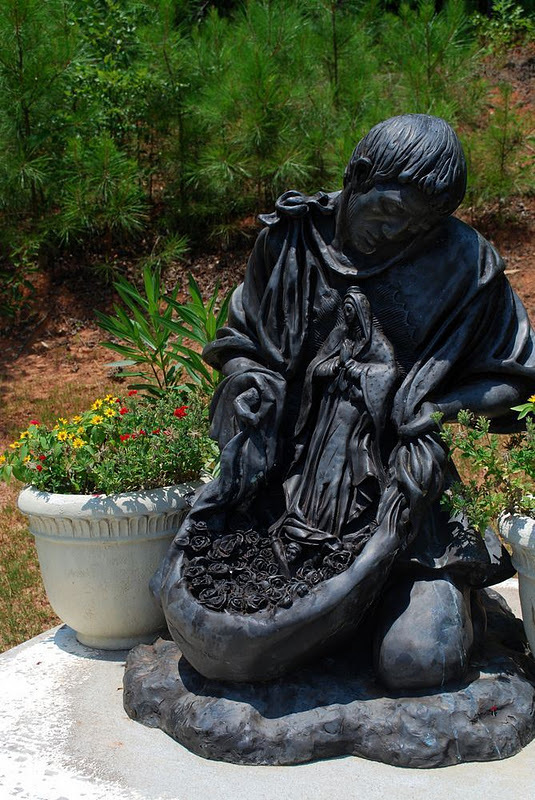 In the case of Saint Juan Diego, John Paul II decided to beatify him without the approved miracle. 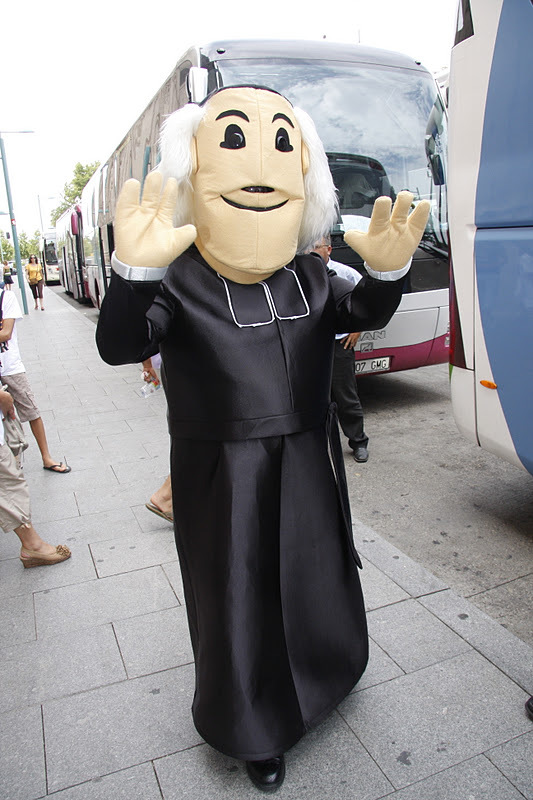 He had been declared Venerable in 1987. Juan Jose Barragan Silva, of Mexico City, was a drug addict from his adolescence. He and his mother had been abandoned by his father. On May 3, 990 Juan Jose, after getting drunk and high on marijuana with a friend, went home and started to cut himself on the head with a knife. His mother, Esperanza, tried to get the knife away but failed. She implored him to stop abusing himself and give up the alcohol and marijuana. He shouted that he didn’t want to live any more so loudly that the neighbors came to see what was going on, but the door was locked. Juan Jose threw himself off the balcony of their second floor apartment. 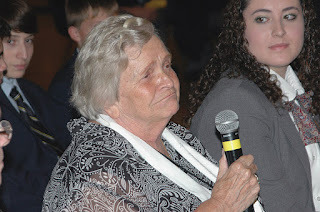 In that moment, Esperanza had a “flash”. Knowing that Pope John Paul was to be in Mexico for the beatification of Juan Diego, she called on Juan Diego to intercede for her son. Juan Jose fell about 10 meters and landed close to a friend of his, Jesus Alfredo Velasquez Ramirez, who saw him land on his head on the concrete pavement. Juan Jose was bleeding profusely from the mouth, nose and ears. They covered him, thinking he was dead. He suddenly sat up, rose and went to the stairs leading to his apartment. On meeting his mother coming down the stairs he asked his mother’s forgiveness. They embraced and remained that way for another ten minutes or so before the ambulance came. During the ambulance ride Juan Jose said he had lost his vision. On the way to the hospital he prayed the Our Father. The prognosis was very pessimistic. The doctor explained that it was already unbelievable that he was alive. They did tests immediately and found that he had multiple fractures, large hemotomas to the neck, lacerations of the muscles and air in cranial cavity and in the cerebral ventricals. The Sacrament of the Sick was administed under the impression that he would soon be dead. The first days he was sedated. On the May 5th, doctors found that his pupils were symmetrical and reactive and that he could move his arms and legs. The next day he was released from the ICU to a regular ward. On the seventh day his feeding tube was removed. He was released on the tenth day after the fall. Subsequent tests by neurologists and other specialists showed a total recovery. Juan Jose also gave up his drug habit and started school. It seems that his change of condition came on May 6th, at the very time John Paul II was beatifying Juan Diego. The decree concerning this miracle was promulgated on December 20, 2001. Holy Father Pope John Paul II canonized St. Juan Diego on July 31, 2002. I see the hands of Joseph. Back and forth along bare wood they move. sorting out confusing thoughts with every stroke. embedded deeply in this choice to stay with her. said, “No” and let her go to stoning. to this mother and her child. and wood pressed tight between them. and be the first to hold the Child. beneath the remnant of a Bethlehem star. enough to make a grown man mad. He’s waiting for this, God’s whisper. “Go now. He is coming. and place his feet upon the path to service and to death. Go now, John, and open your hands to him. I see a fist held tight and fingers blanched to white. Prying is no easy task. protecting all that was and is. Blanched to white. No openness. All fright. But then the Spirit comes. and blows between the twisted paths. the twisted fingers letting go. Their rock-solid place in line has eased. reaches out to hold the tiny newborn hand of God. Waiting. It certainly is not an attractive word. It seems boring. What if... you were waiting for something that would change your life? How would you get ready for it? Would you make yourself busy, filling your life with noise and distraction? Rushing to get gratification. Would you spend all your time doing everything... but slowing down? NO? to leave everything and follow him. and the redemptive character of gospel poverty. to the discernment of superiors. For over 25 years the Marianist high schools have gathered together to collect donations for the Little Sisters of the Poor and their elderly in Queen of Peace Residence located in Queens Village. 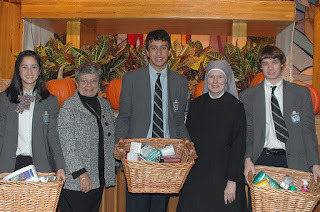 During the Thanksgiving season our students and their families contribute much needed toiletries for the Little Sisters and the elderly poor. Woe to an age when the voices of those who cry in the wilderness have fallen silent, outshouted by the noise of the day or outlawed or swallowed up in the intoxication of progress, or growing smothered and fainter for fear and cowardice. The devastation will soon be so terrifying and universal that the word "wilderness" will again strike our hearts and minds. I think we know that. But still there are no crying voices to raise their plaint and accusation. Not for an hour can life dispense with these John-the-Baptist characters, these original individuals, struck by the lightning of mission and vocation. Their heart goes before them, and that is why their eye is so clear-sighted, their judgment so incorruptible. They do not cry for the sake of crying or for the sake of the voice. Or because they begrudge earth's pleasant hours, exiled as they themselves are from the small warm companionships of the foreground. Theirs is the great comfort known only to those who have paced out the inmost and furthermost boundaries of existence. They cry for blessing and salvation. They summon us to our last chance, while already they feel the ground quaking and the rafters creaking and see the firmest of mountains tottering inwardly and see the very stars in heaven hanging in peril. They summon us to the opportunity of warding off, by the greater power of a converted heart, the shifting desert that will pounce upon us and bury us. O Lord, today we know once more, and in quite practical terms, what it means to clear away the rubble and make paths smooth again. We will have to know it and do it for years to come. Let the crying voices ring out, pointing out the wilderness and overcoming the devastation from within. May the Advent figure of John, the relentless envoy and prophet in God's name, be no stranger in our wilderness of ruins. For how shall we hear unless someone cries out above the tumult and destruction and delusion? John the Baptist 's information was anything but shtick. 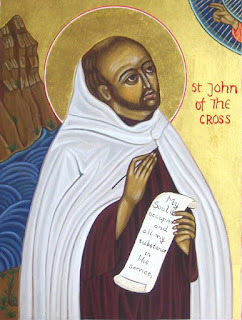 In the desert, far from the spotlight, John was bringing the Good News that was immediately applicable to and actionable by the people: a baptism of repentance for the forgiveness of sins' in preparation for the real Newsmaker who would be coming up next, the one who John said was more powerful than I ... I am not worthy to stoop down and untie his sandals. 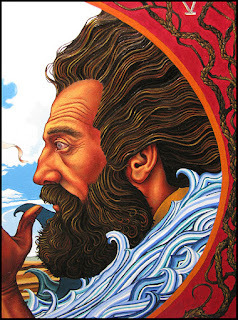 John the Baptist was calling for nothing less than a complete change of heart for the whole community. Massive cultural and spiritual change was on the horizon the rough terrain of sin and disobedience was about to be leveled in anticipation of the coming Messiah. This was breaking news of the highest priority not a source of jocularity, but of real and lasting joy. Advent is a time when we once again share the Good News of the Messiah's coming news that's often buried in the massive crush of holiday hullabaloo. The real focus for us needs to be on the action items of the kingdom, calling people once again to respond to the good news of Jesus Christ instead of just chuckling at another round of Santa jokes. Advent is a chance to smile at some good news for a change. 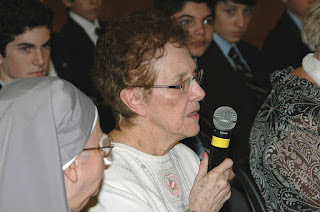 Yesterday I received an email from a Marianist-school graduate who recommended for our blog a prayer. The novena prayer would start on the feast of Saint Andrew which we celebrated yesterday. His father would say the prayer daily which he now says in honor of his father. 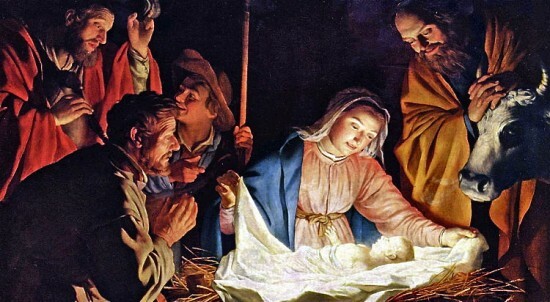 Hail and blessed be the hour and the moment in which the Son of God was born of the most Virgin Mary, at midnight, in Bethlehem, in piercing cold. In that hour, vouchsafe, O my God! to hear and grant my desires, through the merits of Our Savior Jesus Christ, and of His Blessed Mother. Amen. I think it was just before Halloween that I saw my first Christmas decorations this year. This is way before the "official" start of the Christmas season. I can't even tell you how many times I heard on the radio that "the Christmas season has officially begun" just after Thanksgiving. This is a clear indication that in the American culture, Christmas is intimately linked, even identified, with shopping for gifts and decorating homes, inside and out. The Thanksgiving turkey isn't even fully digested before some folks have begun to hit the stores and plug in the lights on the tree. Here's a thumbnail sketch of how the season of Advent developed in the life and history of the Church. In 490, Bishop Perpetuus of Tours officially declared Advent a penitential season in the Frankish Church of Western Europe, ordering a fast on three days of every week from November 11 (the feast of St. Martin of Tours) till Christmas. This forty days' fast, similar to Lent, was originally called Quadragesima Sancti Martini (Forty Days' Fast of Saint Martin's) - or - St. Martin's Lent. 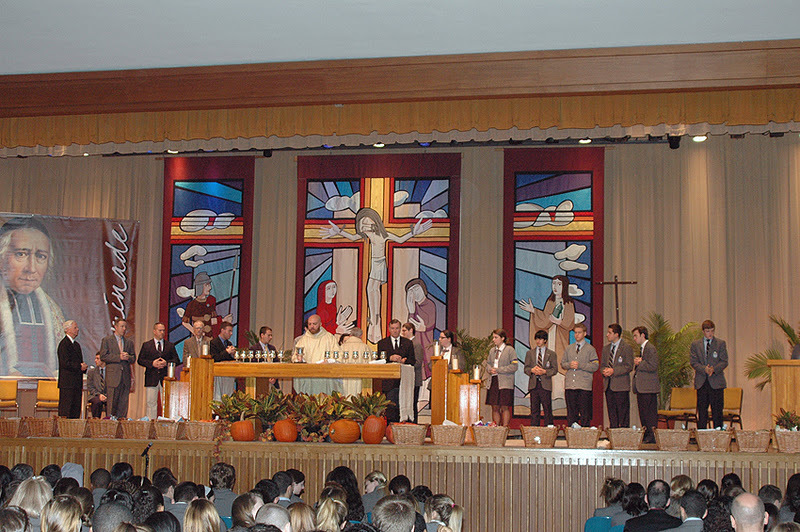 The readings for the Masses in this season were taken from the liturgies of Lent. By contrast, the Advent season of the Roman liturgy, developing a century after that of the Frankish Church, was a non-penitential, festive and joyful time of preparation for Christmas. When the Church unified the liturgical season, the non-penitential nature of the Roman Advent conflicted with the longer and penitential Gallic Advent. By the thirteenth century a compromise was reached, which combined the fasting and penitential character of the Gallic observance with the Mass texts and shorter four-week cycle of the Roman Advent liturgy. The liturgy of Advent remained substantially unaltered until Vatican II mandated a few minor changes to more clearly delineate the spirit of the Lenten and Advent seasons. Well, we have moved to the new Roman Missal as of Sunday. We have left behind some of the prayers that we have used for a very long time. Some of us have listened to those prayers at our first Holy Communion. And there are some of us that have grown over the years that this change is one among many. As we usher in a new translation, let's not forget the value of the old. After all, tradition is an important part of the Church, and we would be remiss if there was not an elegy for the old Sacramentary, the prayers of our youth: simple, clean, clear, direct, unadorned, beautiful. The Bible Geek, Mark Hart, sheds some light on this topic with a clear and concise explanation from LifeTeen. Take a look at the entire video clip if you have some time. It is informative and engaging. Yesterday, November 27, marked the feast of the Miraculous Medal, otherwise known as the medal of the Immaculate Conception. 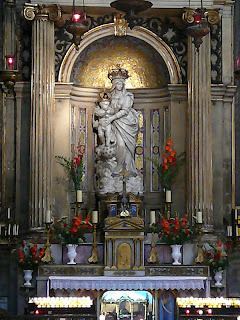 Though the feast honors the Immaculate Conception of the Blessed Virgin Mary, the memorial commemorates the anniversary of the apparition of the Mother of God to St. Catherine Laboure in Paris in 1830, where Our Lady showed the nun the medal she wished to be made for those to wear seeking her aid and protection. 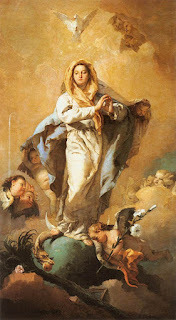 The Blessed Virgin spoke to Catherine: “Have a medal struck upon this model. Those who wear it will receive great graces, especially if they wear it around the neck.” Countless miracles followed, hence the name, the Miraculous Medal. Last summer the World Youth Day pilgrimage from our Marianist schools were able to visit the Chapel of Our Lady of the Miraculous Medal. We prayed at the bodies of St. Catherine Laboure and St. Vincent de Paul. 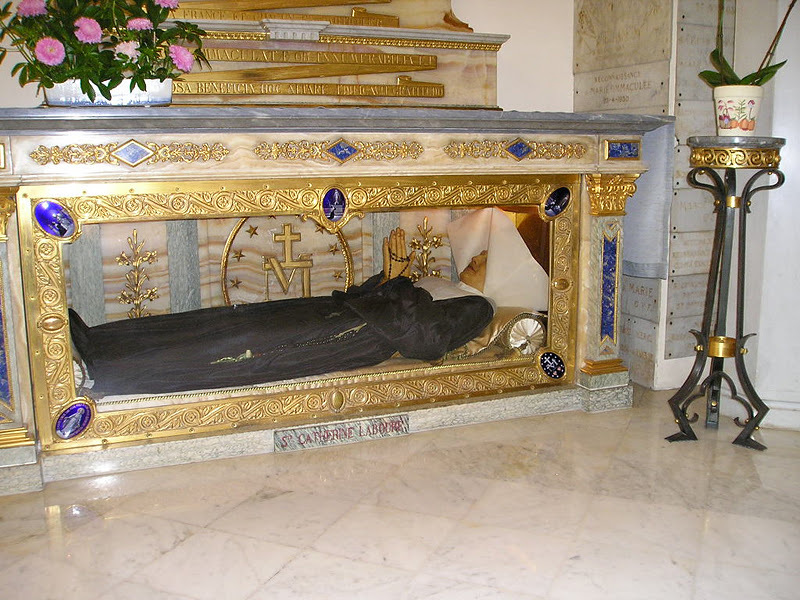 St. Vincent is buried in another church on the same stree. These are two very important saints of French Catholicism. This chapel had a unique significance for us because initially we were unable to visit as Mass was in progress. But after a quick look and a little conversation, all were permitted to visit and pray by an English-speaking sister at the shrine. The chapel itself is where St. Catherine Laboure had a vision of the Blessed Virgin Mary in the sanctuary. 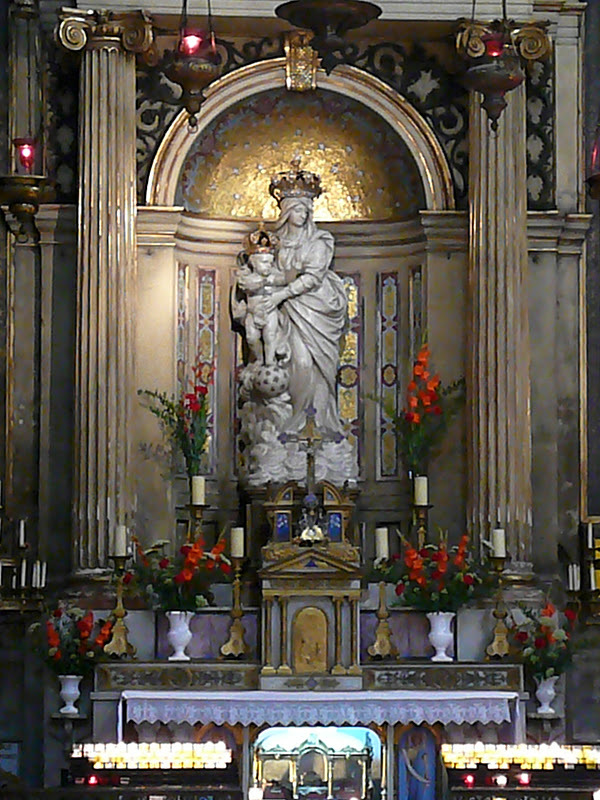 During this vision, Mary told St. Catherine to establish the devotion of the Miraculous Medal so that many who were not praying would come to pray through the grace offered by her Son. Today, there are more than a million people who keep this devotion worldwide. Ours was a graced-filled trip. 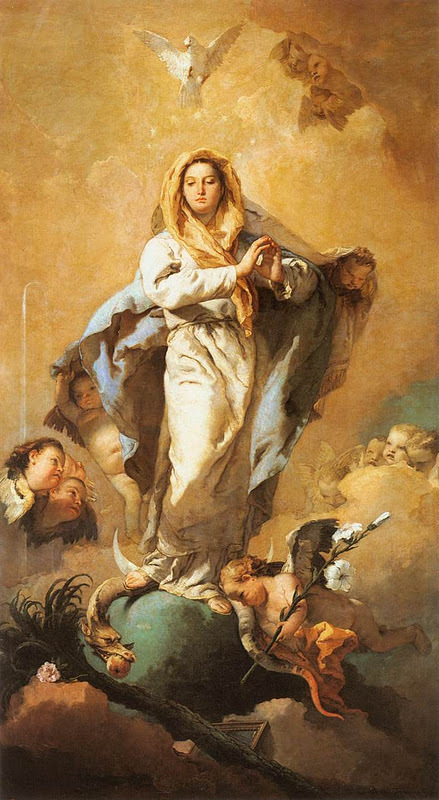 In 12 days the Church celebrates the Solemnity of the Immaculate Conception. Today we enter the season of Advent and a new Year of Grace. If we were to summarize the last lecture of Randy Pausch in a phrase it could be, Keep awake. Pausch delivered his final lecture in September 2007, after he had been diagnosed with terminal pancreatic cancer. He showed a love of life and an approach to death that many people have found inspiring, and his lecture has turned into a phenomenon, viewed by millions on television and on the Internet. He went on to write a best-selling book entitled The Last Lecture, a book about love, courage and saying goodbye. Keep awake. That's what Randy Pausch says to us, and what Jesus says as well. We face the same challenge as we enter the season of Advent, and begin our march through the wild weeks of decorating, shopping, partying and concerts that lie ahead. Jesus is going to be coming to us soon maybe, not in an earth-shaking second coming, but in a personal arrival that's every bit as important to each one of us. He'll be coming to speak to us in words of Scripture that have eternal power. "Heaven and earth will pass away," says Jesus, "but my words will not pass away." He'll be coming to gather his people into a community that knows his everlasting salvation, a community stretching "from the ends of the earth to the ends of heaven." He'll be coming to see if we are alert and ready for his arrival, living in a way that is focused on his will and his way. The challenge for us is to "keep awake," awake for the coming of the Lord during this Advent season. Everyone from your know-it-all neighbor to your more-processed-than-you-are therapist to your holier-than-thou pastor will tell you that the holidays can be stressful times. Even though you roll your eyes after hearing this for the umpteenth time, you know they're right. Why? Oh, for about a billion reasons: the need to travel long distances frays nerves; the increasing pressure to buy, buy, buy more gifts strains wallets; simmering family conflicts that explode over the slightest slight lend an undertone of discord to gatherings; blotto coworkers bellowing insults at boozy parties means a tense office environment the next day; and frustrated expectations that Thanksgiving/Christmas/Hanukkah will be "just like it was when I was growing up" mean that many find the holidays a big fat letdown. While the holidays—loosely defined as the time between Thanksgiving and New Year's Day—are filled with many graces, they can be stressful. So how can you survive them? 1) Laugh about the craziness. Got a crazy family who always argues about the same thing every single time they get together? "I CAN'T BELIEVE YOU BROUGHT THAT UP AGAIN!" Don't get angry; get perspective. Unless you're the Messiah and can work miracles, you're probably not going to change them. So stop trying. You're driving yourself nuts. You can be open and loving, but you can also be realistic. Instead, find a friend with whom you can laugh about the general craziness. Tell him some of the nuttier things and let off a little steam. Don't laugh at your family or people in the office; laugh about the situation. It will give you a break and allow you to approach the group with more patience and, yes, compassion. Be compassionate to yourself, too. I once suggested to a friend that rather than berating himself for getting bothered by his family (he was bothered that he was bothered) he should say to himself, "I deserve a medal for putting up with this!" The next time I saw him he laughed and said how much that bit of humor helped. "By the time New Year's came around," he said, "I had awarded myself three medals—and a Purple Heart!" 2) Laugh at things that are supposed to be funny. There's plenty of funny holiday-themed humor out there. If you're not tickled by Grandma Got Run Over by a Reindeer (which I am not) there's always A Christmas Story, ("You'll shoot your eye out! "), which airs on TV 24/7 from Thanksgiving to Christmas, so you've got no excuse not to smile at least once in November and December. Even better than the movie are the original stories on which the film is based, written by the humorist Jean Shepherd. Pick up one of his books for a laugh: one of my favorites is In God We Trust, All Others Pay Cash, which includes the Christmas tale at the heart of the movie: "Duel in the Snow, or Red Ryder Nails the Cleveland Street Kid." All graduates of Chaminade and Kellenberg Memorial are welcome, as well as anyone else interested in some spiritual refreshment. Bring a friend! Better yet, bring several friends!!!! If you can let us know in advance if you are planning to attend – and if you are bringing some others along – that would be great. Email Bro. 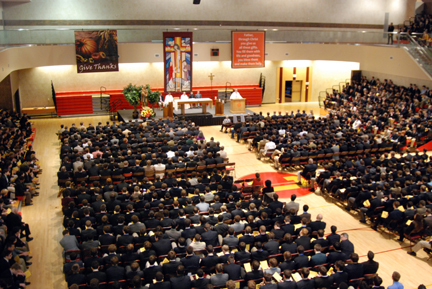 Stephen at sballetta@chaminade-hs.org. But if you just show up, that’s great too. And feel free to come for any part of the program that matches your schedule. So, how many kings can you find out there? what about "The Lion King,"
actually stated in the rhyme. Dear brothers and sisters, I urge you, therefore, to strengthen your faith in Jesus Christ, to be authentically converted to him. He alone gives us the true life and can liberate us for all our fears and sluggishness, from all our anguish. Rediscover the roots of your existence in the baptism which you received and which makes you children of God! May Jesus Christ give you strength to live as Christians and to find ways to transmit generously to new generations what you have received from your fathers in faith!